These terms and conditions apply to all bookings made with GoClimb, Billingham Forum, The Causeway, Town Centre, Billingham, Stockton-on-Tees, TS23 2LJ for sessions on the GoClimb. 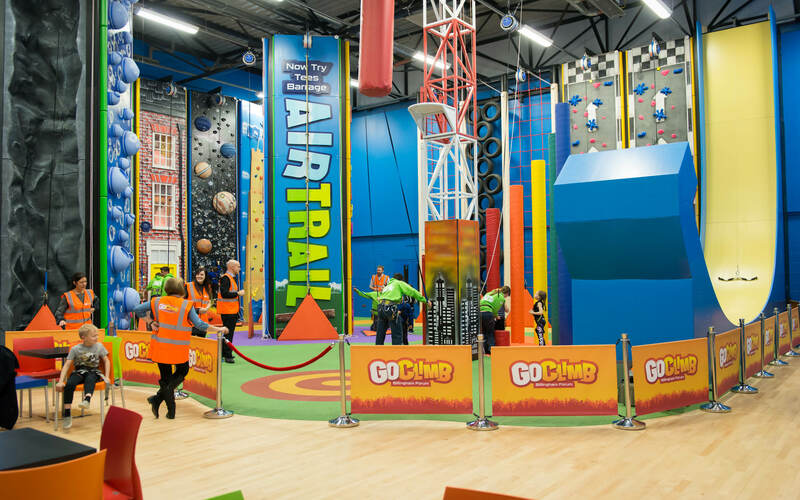 1.1 These Booking Terms and Conditions apply to the booking of Go Climb Billingham Forum, (the ‘Activities’) and any further products offered by GoClimb Billingham Forum. 1.2 These Booking Terms and Conditions contain important information regarding participation by you and the members of your party and accordingly, you acknowledge and agree that you shall ensure that all members of your party are aware of and accept these Booking Terms and Conditions. 1.3 No variation to these Booking Terms and Conditions shall be binding unless agreed in writing by GoClimb Billingham Forum. 1.4 GoClimb Billingham Forum reserves the right to make changes to the Activities for any reason. 1.5 All bookings are subject to the Rules which apply to the relevant activity. A copy of the rules is displayed on site and published at GoClimb Rules. 1.6 Participants who do not comply with the rules will not be allowed to take part. If you break the rules when you are on the walls you may be asked to leave and you will not get a refund. 2.1 No booking shall be deemed to have been accepted unless accepted in writing (which includes an email confirmation) by GoClimb Billingham Forum. 2.2 You must advise GoClimb Billingham Forum as soon as possible of any mistake in the GoClimb Billingham Forum booking confirmation. GoClimb Billingham Forum shall use its reasonable endeavours to ensure that you and your party’s participation commences at the time booked and it shall be the responsibility of each participant to ensure that they arrive in sufficient time. Late arrivals may not be permitted to undertake the Activity and no refunds or compensation will be payable in such circumstances. 2.3 If any participants from group bookings do not attend the activity, the total cost for the group will still apply. Extra participants may be added subject to availability and additional costs. 2.4 For special offers, please read the terms and conditions of offer. If your numbers decrease the offer may be withdrawn. 3.1 If for some reason we have to cancel your activity we will notify you at our earliest convenience and ask you to re-schedule your session for another time. In the event that GoClimb Billingham Forum has to cancel your booking it shall use its reasonable endeavours to notify you as soon as possible. You shall be entitled to a full refund in the event of cancellation under this clause but no other compensation shall be payable. 3.2 Payments made by debit or credit card will be refunded to the same card. Refunds will be given only when facility’s operatives cancel the booking. 3.3 Booking in advance guarantees your space on a session of your choice, however we do not offer refunds if you wish to cancel your booking if the facility is in operation. If you choose to cancel up to 24 hours before your session we will reschedule your booking, subject to availability. Applies to bookings of less than 10 people only. 3.4 We do not accept cancellations nor permit bookings to be rescheduled within 24 hours of your booked session. However, your ticket can be transferable to another person for the same date and time. Applies to bookings of less than 10 people only. 3.5 Bookings of 10 or more people cannot be rescheduled within 5 days of your session. However, your tickets can be transferable to other persons for the same date and time. 3.6 Bookings eligible to be rescheduled need to be booked for a session within one month of the original booking date. Bookings can only be rescheduled once. 4.1 All participants will receive safety training from a GoClimb instructor prior to their session. 4.2 GoClimb Billingham Forum reserves the right to refuse admittance to the Activities or to remove a participant from the Activities should it deem it necessary to do so. This includes a participant who does not comply with the safety rules and advice and the safety system or who is deemed to be under the influence of alcohol or drugs. 4.3 After the safety briefing, participants will not be directly supervised by an instructor. Participating adults accept responsibility for the safety of him or herself and for supervision of children in his or her care. 4.4 All participants must be reasonably fit and healthy, and are subject to the height and weight restrictions as stated on the website. GoClimb Billingham Forum uses harnesses that cover most body types. If your body type prevents the safe fitting of these harnesses you will not be able to participate and you will be given a full refund. 4.5 All participants are required to wear a harness provided by GoClimb and fitted by an instructor and once fitted, participants must not tamper with the fittings. or any recent physical conditions that may be aggravated by the activity. Participation in the Activity is entirely at the participants own risk. 4.7 Due to the physical nature of the Activity, GoClimb Billingham Forum does not permit pregnant women to participate. If this rule is not adhered to GoClimb Billingham Forum take no responsibility whatsoever and the participant accepts they do so at their own risk. 4.8 GoClimb Billingham Forum shall be entitled to prevent any person from undertaking or completing the Activities if it deems the behaviour of any participant unsuitable. 4.9 Participants must be dressed appropriately and, for safety reasons, GoClimb Billingham Forum reserves the right to refuse admittance to the Activities to any participant who is not appropriately dressed. 4.10 No refunds or compensation will be payable by GoClimb Billingham Forum in the event that any participant is not permitted to, or decides not to, undertake or complete the Activity. 5.1 It shall be the responsibility of all participants to ensure that they are dressed appropriately. All excessively loose clothing, hooded jumpers, hats and scarfs must be removed prior to climbing. 5.2 Participants may not undertake the Activity in flip flops, heeled or specialist climbing shoes. All footwear must be clean and free from dirty before entering the climbing arena. Long hair must be tied back. 5.3 GoClimb Billingham Forum will not be responsible for any damage to or loss of clothing or other personal items of persons resulting from participation in the Activity. 6.1 Subject to any terms agreed in writing by GoClimb Billingham Forum our charges for the Activity shall be due in full at the time of booking. 7.1 GoClimb Billingham Forum shall not be responsible for the loss, or damage, of or to any property arising from the booking of or participation in the Activity. 7.2 There is a parking area at the site. Any vehicle and its contents are left at the owner’s risk. 7.3 Except as otherwise provided in these Booking Terms and Conditions any liability of GoClimb Billingham Forum shall be limited to the refund of any charges paid to GoClimb Billingham Forum. 7.4 The purchase/possession of your ticket shall constitute an acceptance by the holder of these terms and conditions and imply an undertaking on the part of the holder to observe them. In the event of any breach of these terms and conditions GoClimb Billingham Forum reserve the right to cancel your ticket and retain any monies paid therefor. 8.1 From time to time we take pictures/videos during activities at GoClimb Billingham Forum. 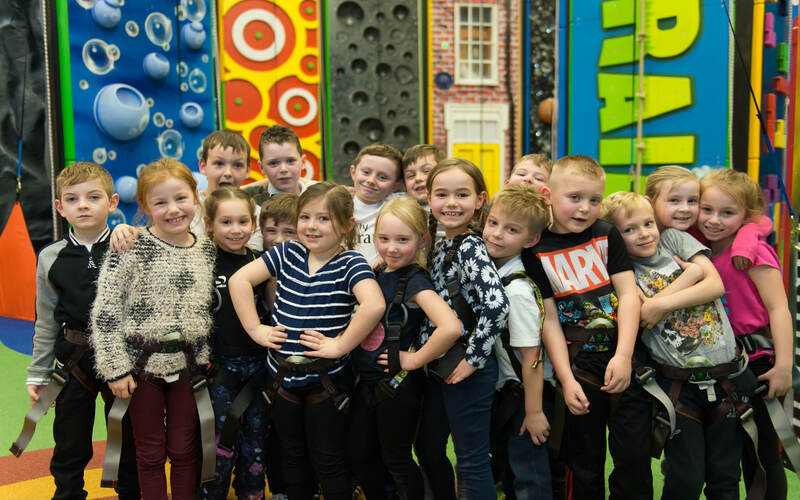 By taking part in these activities, you are giving us your permission to use any pictures of yourself and anybody in your party for possible use in GoClimb Billingham Forum promotion and marketing. We will never sell these pictures and only use them exclusively for our own use. If you object to us using images of you or your party then please inform us in writing to enquiries@teesactive.co.uk when making your booking. 9.1 These terms and conditions shall be governed by and interpreted in accordance with the laws of England and Wales.